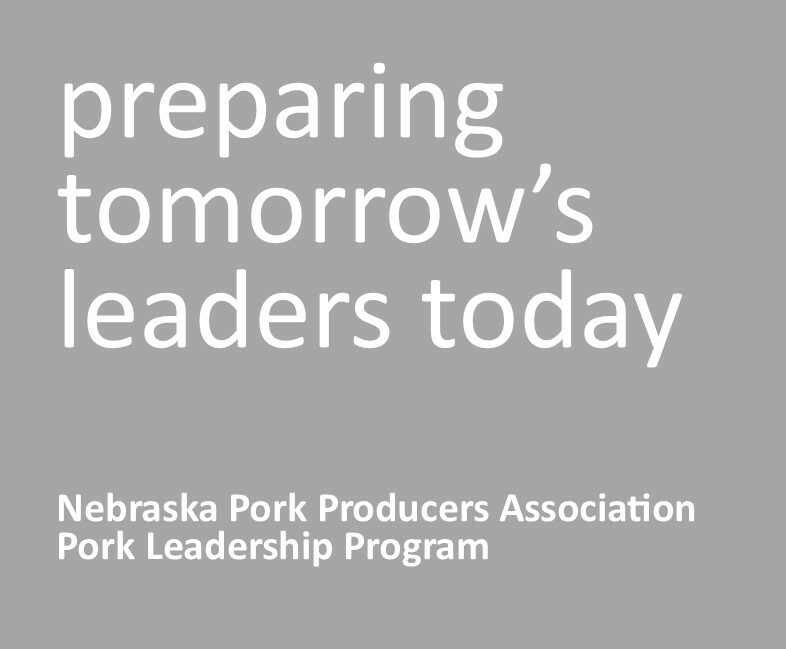 The Nebraska Pork Producers Association believes in, and is committed to helping develop agricultural leaders. The Pork Leadership Program serves as a resource for talented people who want to contribute to the future of Nebraska’s pork industry. The Pork Leadership Program will build awareness, interest, and involvement in the pork industry at the state level. Participants of the program will develop their skills as leaders and will naturally emerge as the next wave of active and engaged members of committees and board of directors. Participants in the Nebraska Pork Leadership Program will learn about different facets of the pork industry, as well as a variety of issues related to agriculture production in another part of the country. Additionally, participants in the Pork Leadership Program will define their personal leadership style and learn how to work with different leadership styles in a group. Participants will emerge as advocates for the pork industry who will work to broaden perspectives and build coalitions. The Pork Leadership Program helps prepare the next generation of industry leaders for service on committees, boards, and other leadership positions. Men and women who have an interest in agriculture and the pork industry. Participation in the Pork Leadership Program has no specific age limits. The year-long program runs from February to February. Participants in the Pork Leadership Program will attend six seminars and activities where they will learn about various aspects of the pork and agriculture industries, while improving leadership, team building, and communications skills. Participants in the Pork Leadership Program will not be responsible for any expenses to participate in the program. Applications for the Pork Leadership Program are being accepted until January 25th. Applications will be reviewed and selections will be made. If you have questions, please email Kyla Habrock.